With week eight just around the corner, we are now at the halfway point of the college football regular season with conference matchups taking centre stage. Looking back at the previous seven weeks of action is plenty of time to make midseason statements, including the naming of All-American teams. The following column names ten offensive (including two specialists) players who have impressed during the first half of the season who have put themselves in position for honours at the end of the year. Following an off-season of contention surrounding the Alabama QB1 position, Tua has shown the nation that January’s playoff winning performance was no flash in the pan. Currently averaging a gaudy 14.3 yards per attempt, Tua is orchestrating the most devastating passing offense in America, which is blowing out opponents as the Tide roll toward another playoff selection. 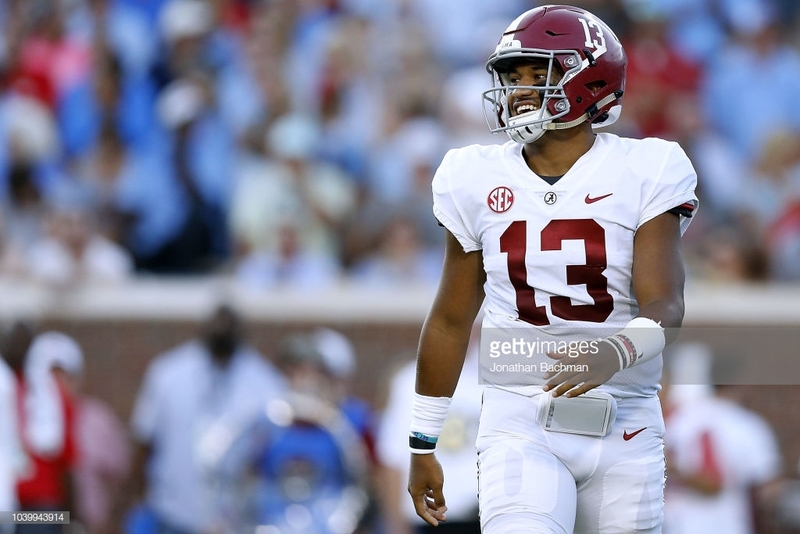 21 touchdowns and zero interceptions through 7 games, none of which have seen Tua take a snap in the fourth quarter, are making the Hawaiian lefty a favourite for the Heisman and the clear-cut number one QB in the FBS at the halfway stage. Playing on an under-par 4-3 Tigers team, Henderson has put up some ridiculous numbers in his first seven games. His 1133 rushing yards lead the country by almost 200 yards, and coming at an average of 10.3 yards/per carry, Henderson is blowing his competition out of the water in the race for the rushing title. 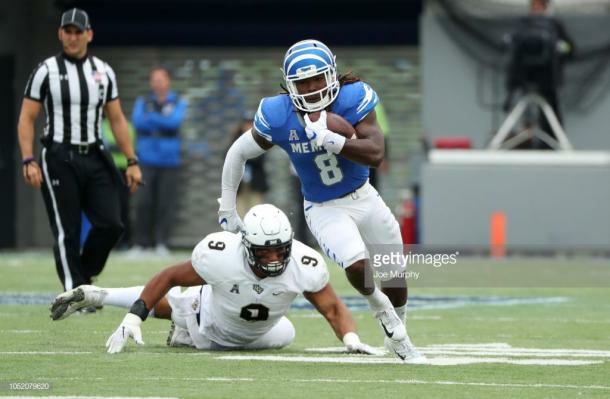 In his most recent contest, the junior gained 199 yards on the ground against a highly ranked UCF unit, and while proving he is a bellcow back, he has added 191 yards and two receiving TDs to show he can be a three-down contributor at the next level. With their QB controversy taking centre stage in the early part of October, Dabo Swinney has found a winning formula by putting the ball in Etienne’s hands. The sophomore from Louisiana has been on an absolute tear over the past four weeks of the season, with rushing totals of 162, 122, 203 and 167 to take the pressure off young quarterback Trevor Lawrence. Etienne has also put up nine scores over the four-game span, and with an important matchup against NC State on the schedule this weekend, Clemson will be relying on him to carry them to victory once more. The main beneficiary of Tua’s gunslinging has been Bama wideout Jeudy who has taken nine of his 26 receptions to the house. Helping the Crimson Tide offence take apart their opposition, Jeudy has scored two touchdowns in four of his seven matches so far in 2018, the sophomore has teamed up with DeVonta Smith and Henry Ruggs III to form Nick Saban’s most dynamic trio. The epitome of a breakthrough player, Shenault’s name was not gaining much traction during the preseason. However, having put up more than 850 yards of offense during his first six games, Shenault is shattering the preseason ignorance, and has even had his name mentioned in the Heisman debate. In the week two victory in Lincoln over Nebraska, Shenault hauled in ten receptions for 177 yards, with the ludicrous 40-yard go-ahead stretching touchdown catch late in the fourth quarter propelling his team toward victory. After shredding UCLA, Shenault’s standout performance of the campaign so far came at home to Arizona State, where he scored all four of Colorado’s touchdowns, two through the air and two on the ground during their 28-21 win over the Sun Devils. 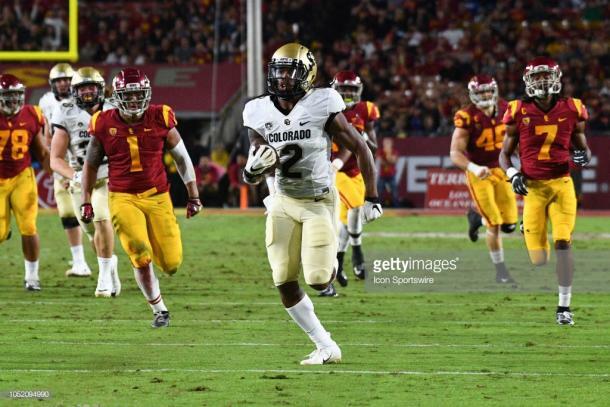 The Buffs offense will be as explosive as Shenault allows them to, and they will hope desperately that the toe injury currently ailing him will not lead to a long-term absence. With Bryce Love garnering most of the preseason headlines in Palo Alto, a six foot, three inch wide receiver somehow managed to sneak under the radar somewhat. Having scored 14 touchdowns over his first two seasons with the Cardinal, JJ’s talents were well known, but he is well on his way to doubling that scoring tally in what is likely to be his final collegiate season. Starting with 226 yards and three touchdowns from just six receptions in the season opener against San Diego State, the Spanish-born wideout has taken his seasonal tally to eight scores and has fast become the most lethal redzone threat in college football. With his ability to box out smaller defensive backs, Arcega-Whiteside has found a good connection with quarterback KJ Costello that proved crucial in their victory over Oregon at the end of September. Jimbo Fisher has found the tight end his offensive playbook craves. Sternberger is a junior who transferred from Kansas, whose production seems to be increasing at a week-by-week basis. In crucial conference matches over the past two weeks, Sternberger has scored a touchdown in both wins over Kentucky and South Carolina, putting up 95 and 145 yards in those contests respectively. His six total touchdowns this season tie him with Iowa’s Noah Fant at the top of the tight-end charts, and he is now a name to watch for those who follow the NFL Draft. No team has a better resume when it comes to wins over top opposition than the LSU Tigers with three of their victories so far this season coming against teams, who at one point, have been ranked in the top ten of the polls. One important factor in each of those wins has been the special teams, and in particular their placekicker Cole Tracy. Starting the season at Jerry World against Miami, Tracy was successful with all four of his field goal attempts against the Canes on the way to a programme boosting 33-17 win. Then, with the game on the line at Jordan-Hare Stadium, Tracy recovered from a miss earlier in the contest by nailing a 42-yard field goal as time expired to cap another huge win for Ed Orgeron’s team. Most recently, Tracy converted all eight of his kicks (5 FGs & 3 PATs) in LSU’s 36-16 beating of Georgia in Death Valley, setting up a huge second half of the season for the Bayou Bengals. The second Aggie to make the list is the special teams ace Braden Mann who currently leads the nation in punting averaging at 54.5 yards. His ability to flip the field and pin opponents deep has played a big role in A&M’s 5-2 start. The Texas native had punts of 69 and 73 at Kyle Field in the close loss to Clemson before breaking an NCAA record a couple of weeks later against Alabama. Down in Tuscaloosa, Mann nailed five punts for 304 yards in total, giving him an average of more than 60 yards per punt, which put him top of the single game statistical leaders. Although his numbers may not leap off the screen like others on this list, Kentucky would not be 5-1 without Snell. After passing 1000 yards in his first two seasons, Snell currently sits at 699 from six games, averaging 5.5 yards per carry. 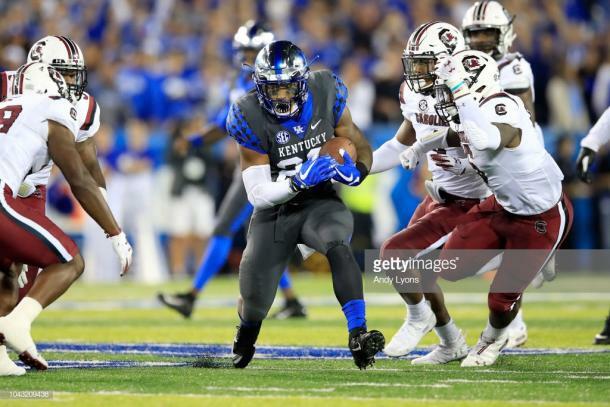 The junior is the face of the Wildcats offense, and he played a major part in ending the 31-year losing streak against Florida after rumbling for 175 yards on 27 carries against the 11th ranked 6-1 Gators. That performance in the Swamp was followed two weeks later by a 25-carry performance at home to Mississippi State, which saw him gain 165 yards on the floor, and the small matter of four touchdowns during the 28-7 win. Snell’s struggles in the loss to Texas A&M proved just how much reliance is placed on the 20-year-old, and if Kentucky are to contend for the SEC East crown he will need to be at his best for the November 3rd tilt with Georgia at Kroger Field.